Check into a romantic mansion, lodge, inn, or bed & breakfast for a weekend or relaxation and rejuvenation surrounded by mountains. Montana is a beautiful state where vacationers find friendly service and a diverse choice of accommodations in charming towns and wedding venues near famous destinations such as Yellowstone and Glacier National Park. Snuggled in a valley between the majestic peaks of the Montana Rockies is fertile ranchland crossed by numerous fast-running cool mountain rivers. The valley was developed as a horse and cattle ranch in 1915 and recently converted into Lone Mountain Ranch, a luxury log cabin-style wilderness retreat. The ranch is a heaven for those who seek the peace and solitude of the rugged mountain terrain rich in the Old West heritage. The ranch is made of the one to six-bedroom rustic-chic cabins nestled between old-growth trees. They have living rooms, porches, fireplaces, or stoves and some also have claw-foot tubs and sofa beds. Two of the cabins have kitchens; one can sleep up to 18 people and also has a hot tub, free Wi-Fi, and a washer/dryer. The guests enjoy an upscale restaurant, a cozy pub, horseback riding, yoga, skiing, fly fishing, massages, and tours of Yellowstone. Snuggled between Glacier and Yellowstone National Parks, high up in the Rockies and overlooking beautiful Gibson Lake and the Sun River Canyon, Triple J Ranch certainly occupies one of the most beautiful spots on Earth. With the million-acre Bob Marshall Wilderness as its backdrop, Triple J offers visitors the opportunity to enjoy all this breathtaking beauty without having to cope with the crowds in the national parks and is perfectly peaceful, wild, and unspoiled. The original Montana dude ranch, Triple J offers outdoor vacations with plenty of action, such as horseback riding, hiking, or fishing – there is something for the whole family. And when you come back, you will enjoy the true, homey hospitality and the comfort of a charming and comfortable log cabin surrounded by stately spruce and aspen trees. Opened in 1999, the Gallatin River Lodge is a secluded, luxury hotel in Bozeman, Montana and is the perfect place for guests looking to ‘rough it out in the wilderness’ in style. The hotel, which is also a fly fishing lodge and a fine dining facility, is located on a ranch directly accessing the Gallatin River. There are various room styles for guests to choose from – some fitted with fireplaces and Jacuzzis, which makes the hotel a good choice not only for the surrounding excursions, but also as a romantic getaway or honeymoon. Minutes from Yellowstone National Park and a few feet away from the banks of Yellowstone River, Paradise Gateway is a lovely place for a relaxing retreat. The bed and breakfast is nestled in the Absaroka Mountains in Emigrant, Montana, giving guests a panoramic view of Emigrant Mountain and Yellowstone River from the comfort of the inn. There are four B&B style guest rooms and a number of vacation homes and cabins to choose from. Each B&B room comes with a private bathroom, WiFi access, flat screen satellite TVs and a full homemade breakfast daily. Snow Bear Chalets are the world’s first and only ski-in/ski-out luxury treehouses. Perched among the treetops 25 feet above the ground in the Whitefish Mountains in Montana and overlooking Glacier National Park, the chalets are fairytale-like luxury rentals located right next to the ski slopes, so the guests can literally ski their way out of the house. There are three multi-level chalets, and they all have rustic fireplaces, wall-to-wall windows overlooking magnificent cedar, ponderosa, and tamarack trees, a hot tub on the private balcony, a fully equipped gourmet kitchen, and comfortable ski-lodge style furniture. The treehouses can accommodate six to ten people each. 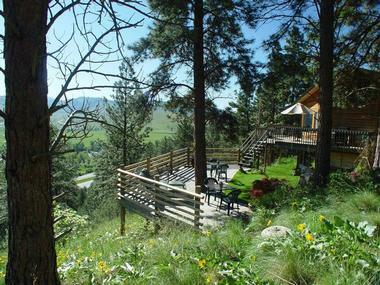 Howlers Inn B&B and Wolf Sanctuary is situated in the hills of Bozeman, Montana. The inn has three rooms and a separate unit that can comfortably house a small family. Aside from being a bed & breakfast, the Howlers Inn is also a wolf sanctuary. The wolves are housed in two large enclosures on the property. Guests are allowed to view the wolves, but the sanctuary is not open to the general public. For activities, visitors can easily access Yellowstone National Park, or enjoy a day of fishing, hiking, skiing or mountain biking. The cities of Bozeman and Livingston are easily reachable from the inn by car. 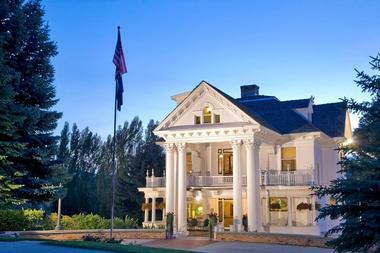 Swan Hill Bed and Breakfast on Flathead Lake sits deep in the hills of Northwest Montana. 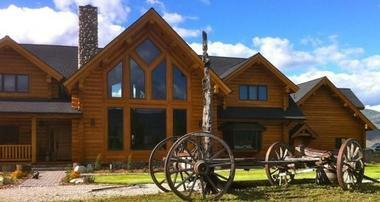 The B&B is encircled by the Mission Mountains and provides guests with stunning views of Flathead Lake. There are five private guest rooms named after popular Montana destinations. The property also contains a cabin designed for couples who want an intimate getaway. The cabin has its own kitchen, living room and wood-burning fireplace. Access to a private boat dock along with unlimited use of the B&B's kayaks and paddle boats are included in the cabin reservation. All guests have access to fire pits, hiking trails, a shared swimming pool, bicycles and more. 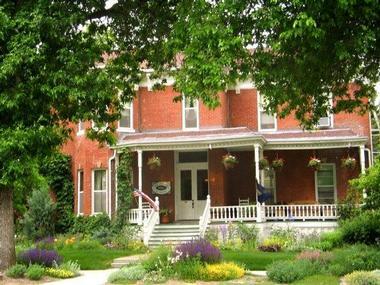 Goldsmith's Bed and Breakfast lies on the banks of the Clark Fork River in Missoula, allowing guests to listen to the rushing waters from their room or the grand porch. Within walking distance of downtown Missoula and near the University of Montana, guests can visit restaurants, entertainment venues and unique shops. For a more nature-centered vacation, biking and hiking trails through the Montana wilderness, fishing and skiing, are all accessible from the B&B – which is situated along the historic route traveled by Meriwether Lewis and William Clark. Guests can choose from full suites or double rooms, each with a private bath and fitted with Victorian-style furniture and décor. Twenty minutes from Glacier National Park, Bad Rock Bed & Breakfast is the only B&B situated amidst Montana attractions such as Kalispell, Whitefish, multiple golf courses, Bigfork and the Big Sky Water Park. Yet, in the ten private acres of towering pines trees and rolling fields, this B&B is one of the quietest, calmest inns in Flathead Valley. Guests can choose from 9 guest rooms, a 3-bedroom guesthouse or a 2-bedroom apartment, depending on the number of people they’re traveling with. There are many things for guests to do without ever leaving the B&B, from having a hefty Montana-style breakfast in the dining room or browsing through the large library with over 1,300 books, to using the fitness equipment such as the recumbent bicycle or elliptical machine. There is a game room with a large pool table, air hockey and lots of board games for guests to use as well. 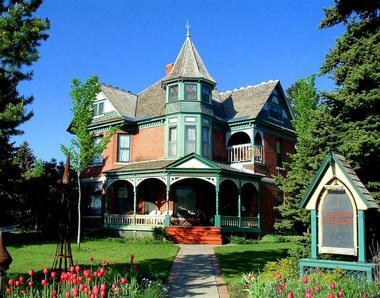 An enchanting bed and breakfast in Victor, Montana, Time After Time is great for a quick getaway from the stress of everyday life. This B&B is situated on secluded grounds and is a quiet, peaceful retreat which allows guests to unwind and enjoy themselves amidst nature. The Bitterroot River Bed & Breakfast is located in Stevensville, a cozy town in Western Montana. The inn has four beautifully-furnished rooms that come equipped with modern amenities as well as a private bathroom. Guests also enjoy round-the-clock access to a large patio area, a grill, a sunroom and a living room. Pets are also welcome at the B&B for a small extra fee. Visitors can stay busy with a variety of outdoor activities including biking, hiking and hunting at the Bitterroot Mountains and the Bitterroot River. Additionally, Stevensville has a wide selection of dining and entertainment options that appeal to visitors of all ages. Nestled between Yellowstone National Park and Glacier National Park, the Laughing Horse Lodge is the perfect base for outdoor adventures in Glacier Country. Nestled at the base of the Bob Marshall Wilderness, the Laughing Horse Lodge is a great place for guests to enjoy the Montana atmosphere. There’s a garden to look out on to the scenic view, a library to just relax with a good book and a pub to throw back a few and mingle with the other guests. If guests are feeling outdoorsy, the lodge can organize various activities including fishing or hiking. Rooms at the lodge are styled with log furniture and quilts, decorated with cowboy art in true Montana style. The Horse, as the lodge is lovingly called, hosts a number of events throughout the month including a “Tantalizing Tuesdays” six-course dinner twice a month, garden concerts and brunches. A gorgeously restored 1904 Victorian home, Yellowstone Suites Bed & Breakfast borders the north entrance to Yellowstone National Park, making it a great place to meet up before or after an excursion. This B&B has four comfortable guest rooms to choose from in the three-story stone structure. Filled with modern conveniences such as flat screen televisions and WiFi, Yellowstone Suites also has a classic Montana style to give guests a true Montana experience. There’s also a landscaped cottage garden for visitors to enjoy the outdoors under the big Montana sky. Activities around the inn include hunting, fishing, river rafting, biking, hiking, horseback riding, snowmobiling and cross country skiing. Located in Gardiner, which was originally a western frontier town, visitors can also spend the day shopping, visiting art galleries and churches and dining at the many restaurants. At Bitterroot River Ranch, guests can unwind by enjoying beautiful views of the nearby Bitterroot Mountains. The ranch has three themed guest rooms that are available year-round. The rooms each have a private bathroom, elegant furnishings and large, comfortable beds. Local attractions include fishing, whitewater rafting, hiking and mountain biking. Visitors can also head into Darby, a nearby town, for special events throughout the year. Some of Darby's highlights include its rodeos and triathlon competitions. In the winter, guests can go skiing and snowboarding at the nearby ski resorts. 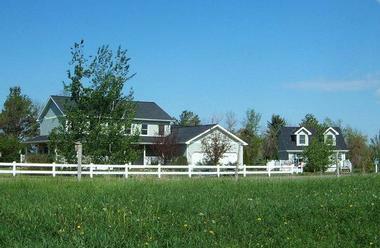 Fox Hollow is a country style bed and breakfast that has been accommodating Bozeman visitors since 1995. Guests can relax and unwind in the peacefully quiet setting that surrounds the B&B; especially from the front porch which provides a panoramic view of the grandiose 10,000 foot high Bridger Mountain Range. Guests can choose from five country-styled rooms, each with a private bathroom. Fox Hollow is a few miles away from Montana’s historic downtown area, which is filled with an array of coffee shops, restaurants and galleries for visitors to explore. For those looking for outdoor excursions, hiking, biking, fishing and a number of other activities can be done in the surrounding area. The Gibson Mansion in Missoula, Montana is an incredible Victorian-era home that contains four guest bedrooms. The mansion is exquisitely decorated and outfitted with all the latest amenities. The Gibson Mansion's beautiful gardens are a popular spot for wedding receptions and parties, and the gazebo within the garden is a good place for lounging after a long day. In Missoula, guests can enjoy a variety of attractions and activities. Museums, theaters, restaurants and shops are located throughout the downtown area. 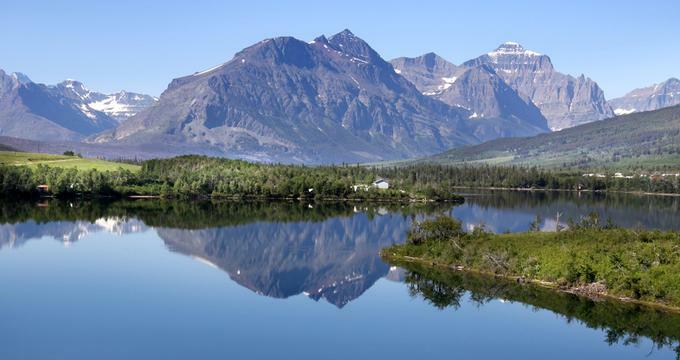 Outdoor enthusiasts can head to Glacier National Park or the National Bison Range for a day of exploring. Located in the Lower Rattlesnake Historic District, Blossom’s Bed and Breakfast is a great location for a getaway. It is situated moments away from downtown Missoula, the University of Montana and many trails. The B&B itself is a beautifully restored craftsman style home built in 1910 and offers luxurious services to its guests including memory foam mattresses, WiFi, spa bathrobes and amenities, as well as a private entrance for guests to come and go as they please. Guests are invited to partake in Blossom’s legendary breakfasts, and if you’re looking to dine outdoors, Blossom’s 30 years of experience will guide you toward the best local food, entertainment and services there is. 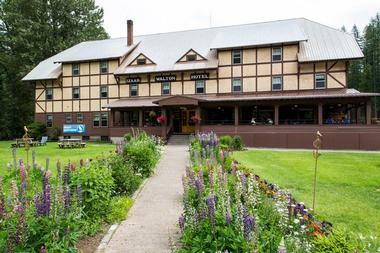 Forty five minutes from Glacier National Park, in the heart of Bigfork, Montana, lies the Candlewycke Inn. This bed and breakfast is situated near Flathead Lake and is open year round for visitors to come relax and unwind from the daily business of life. Surrounding the inn are 10 secluded wooded acres for guests to explore and hike through. The inn itself is a charming folk-art themed B&B that is warm and inviting. There are a number of activities guests can participate in while staying at Candlewycke Inn including biking, kayaking, hiking, fishing, snowshoeing, skiing, sledding and ice fishing. With its location close to Glacier National Park in Montana, and surrounded by the beauty of the Rocky Mountains, Lone Elk Lodge is indeed a special spot to spend a vacation. The lodge is open to as many as 30 guests at a time, providing a cozy and intimate feel which is perfect for groups or families. It offers a large range of accommodations to choose from to fit all traveler needs. The lodge is set amongst 2.5 acres of prime Montana scenery and guests can enjoy relaxing by the fire, dining in this serene setting, or simply settling into a slower pace of life. Visitors can also enjoy a range of outdoor activities such as biking and hiking in the surrounding area. A family-owned retreat in Essex, Montana, the Izaak Walton Inn borders Glacier National Park and specializes in Montana-style relaxation and fun. Visitors of all ages will enjoy the relaxing getaway and the activities available including hiking, skiing, walking tours, hiking, horseback riding, snow floating, boat rides and white water rafting. Each of the quiet and comfortable rooms are fitted with extra-plush beds and décor that reflects Montana’s laid back style and historic past. There are no televisions or telephones in an attempt to seclude guests from the outside world and to instead enjoy nature and all that it offers. 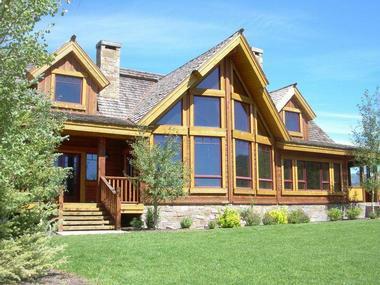 Guests will enjoy stunning mountain views, fresh air and all the comfort that Montana is known for. The comfortable and beautifully-decorated Voss Inn is just three blocks away from downtown Bozeman. The mansion that houses the guest rooms dates back to 1883. There are six rooms in total, and each room has a private bathroom and antique furnishings. Guests can join the host of the Voss Inn for an informal or elaborate afternoon tea. Visitors can also take advantage of a daily breakfast that consists of fresh-baked bread, fresh fruit, eggs and more. For entertainment, guests can head into town for shopping and sightseeing or make the 90 mile drive to Yellowstone National Park. Minutes from Glacier National Park, the Dreamcatcher Lodge Bed and Breakfast lies nestled in the forest of the Swan Mountain Range. Guests are invited to enjoy Montana and all its splendor: The quiet beauty of the majestic mountains, calm lakes and spectacular Montana sunsets. Indoors, guests will find beautiful rooms with private bathrooms, a cozy stone fireplace to relax by, a spacious deck to enjoy the panoramic view and a comfortable den for all guests to hang out in. The den is fitted with a television, DVD player, a video library, Wii gaming system, board games and a wet bar complete with a refrigerator and microwave. 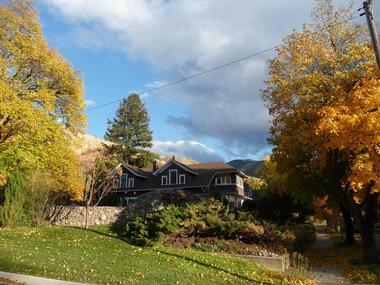 The Blue Mountain Bed & Breakfast is just minutes away from the center of Missoula. Beautiful views of the Bitterroot River and a portion of the Lewis & Clark trail make the Blue Mountain B&B the perfect spot for a romantic getaway. The B&B has four spacious bedrooms with private bathrooms. 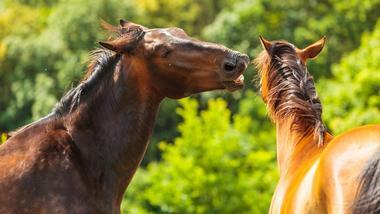 The property encompasses 20 acres of land that is used as a wildlife refuge for birds, chipmunks and other animals. Adventurous guests can travel easily to some of the area's best attractions, including Glacier National Park, Flathead Lake, the Bison Range and a handful of ghost towns and memorials. Lehrkind Mansion Bed and Breakfast is a Victorian-era home complete with two parlors, a spacious dining room and luxurious antique furnishings. The B&B has nine rooms that are each fitted with large, comfortable beds, a private bathroom and modern amenities. Downtown Bozeman, where guests can enjoy shopping, dining and entertainment, is minutes away from the Bozeman B&B, as well as Yellowstone National Park, Gallatin National Forest, Buffalo Jump State Park and several popular ski areas are just a short drive away as well. The B&B is popular among everyone from honeymooners to business travelers. 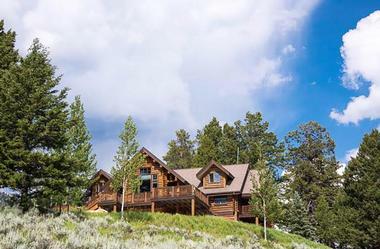 As a luxury accommodation option, Grey Cliffs Ranch gives visitors unparalleled views of Montana's most iconic features: Mountains, lakes and forests. 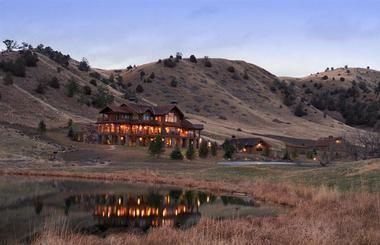 The property is home to a vast array of wild animals and birds, including elk, pheasants and Golden Eagles. Each guest room on the ranch is decorated with exquisite pieces of furniture from around the world. Private balconies are also built in to each guest room. Visitors can stay busy by going shooting, tubing down the Madison River, horseback riding on the 5,000 acre property, or taking pottery lessons at the ranch's on-site pottery studio. There are also plenty of areas for hiking and biking.